Everything Coastal....: Modern Nautical - How to Decorate with Maps! 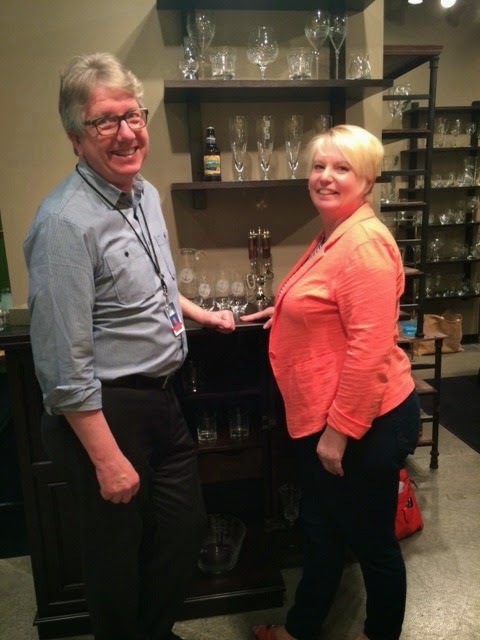 So exited to introduce my guest blogger, and friend Shayne from Sugarfly to you! 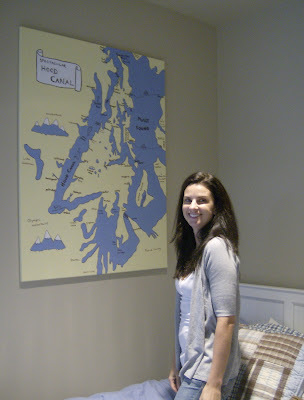 As you all know, I have not one "crafty" bone in my body - wish I did, but I certainly admire my friends that can be so creative - I think you will all really enjoy her post about decorating with nautical maps and charts. Our summer cabin on Hood Canal has been in the family since the 60's. Four generations have called this beautiful place home, for over 50 summers! Inside there is an old pine tongue and groove staircase, and the top of the stairs for years, there was a big map of the Puget Sound held up by thumbtacks. I remember as a kid, standing in front of this map for hours. It was just so interesting to me to see exactly where we were on a map in relation to our house, the neighboring towns, and just how it all came together around the water. I remember thinking ... "Wow, if you just travel down around this corner, you would be here.... and if you just cut across the water, you would be here... " So many kids stood around pointing at that map, that a hole was eventually worn in the spot where our cabin was from messy little fingers pointing out to their friends exactly which spot we were standing on. Finally, one of my aunts had enough good sense to take the map down and have it laminated, so it could be enjoyed for years to come. It now sits like a giant placemat in the middle of our cabin kitchen table, so that future generations can explore it, and point to it without fear of it being damaged. I am still fascinated by maps, and wanted to do something similar in my house for the kids, but wasn't sure how. I also love themed rooms, especially when it comes to kids bedrooms. Not over the top themes, where everything is all "matchy - matchy" but I love it when a kids room has a vibe that fits the child's personality. I recently helped my daughter redo her room to a slightly Hawaiian theme, bringing in turquoise and coral, a couple of hula pictures and some Pottery Barn Tiki bedding. 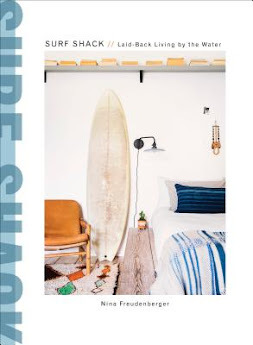 My middle son has a surf theme going, lots of faded red, blue and green, with some beach grass around the windows, a fish tank and some surf boards. For my youngest son, I started thinking more nautical. 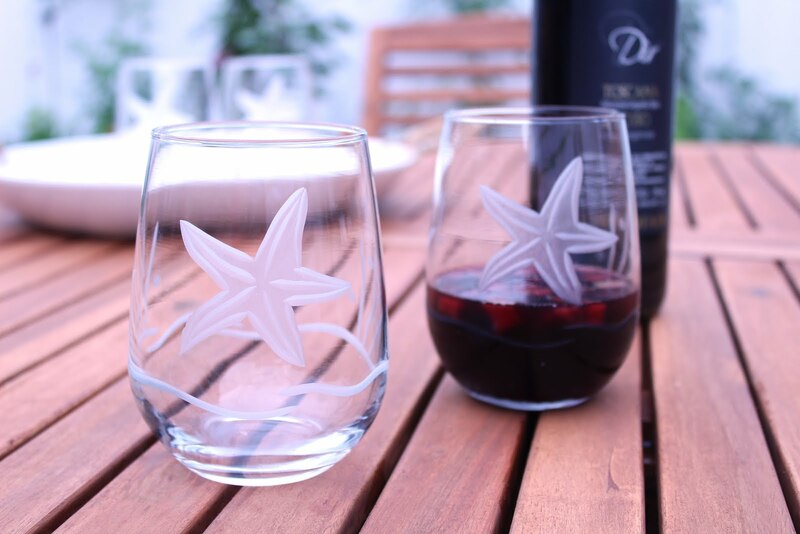 I used to think that nautical meant old buoys, barnacles, and fishing nets, with anchors and sea captain figurines and steered clear of anything nautical in my decorating. 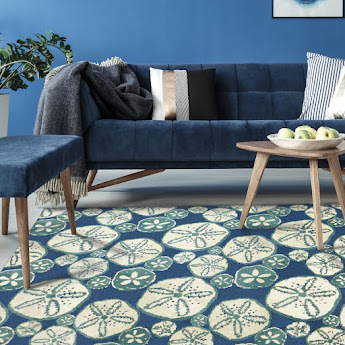 The last few years, I have seen nautical themes in kids' rooms, in many catalogs done in such a classy way, it has completely changed my mind. 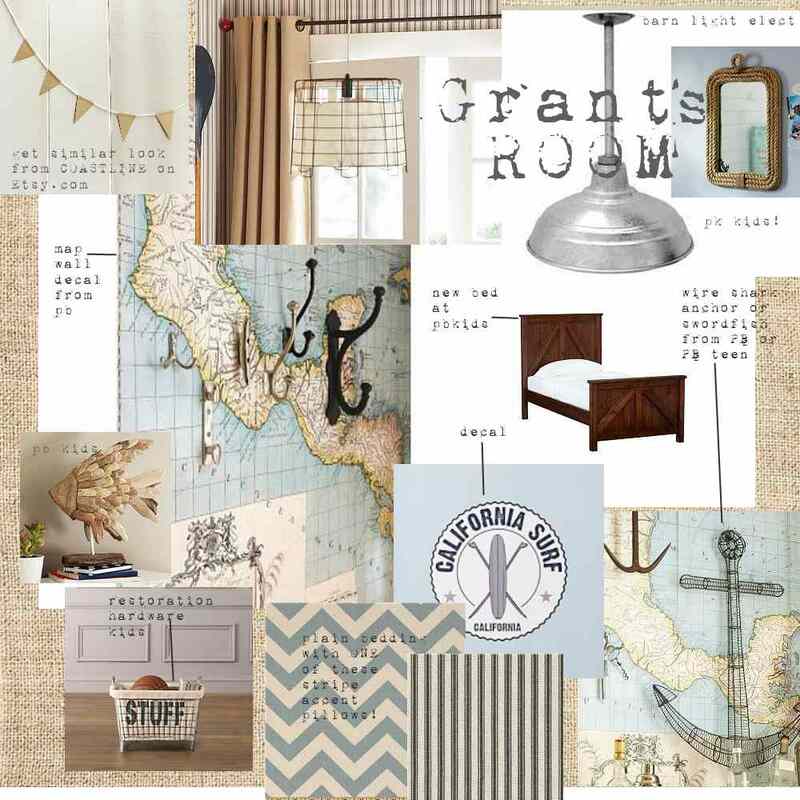 Tons of bead board, crisp white trim, an oar on a wall, navy and brown, some wood accents, a soft sea grass rug, a modern fisherman reading lamp... this was the kind of nautical that I was going for, and I knew that this would be the right place to bring in a great map. I purchased some great wallpaper from Ralph Lauren, then decided not to use it, as I really wanted to do something personalized, where my son could grow up with his own map of where we were; marked with "home" and "cabin" and all of the places in between. I decided to make my own map, based on the map from our cabin, I painted in the traditional map colors of sea blue and yellow on a giant canvas. Here's what you need to recreate a map of your own area! Find a map of your area, or an area that is special to your family - maybe somewhere that your family likes to vacation. Lay your canvas out in front of you, and start sketching. It's a little tricky to do in a much larger scale, so make sure you have a good eraser! Don't worry if you have a bunch of erased lines all over, you will be painting over it! 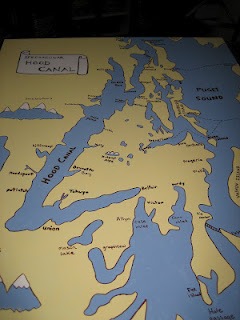 Once you have your map sketched, paint all of the water areas blue, and the land areas yellow. Where the blue and yellow come trace with a dark brown Sharpie pen. Use your Sharpie, and add in the towns, the waterways, bays, whatever you find important. I added a few fun things; a water skier, a shrimp, ferry boats - just to make it a little more interesting. Pretty easy as far as projects go, and it only takes a couple of hours. My sister-in-law made some smaller ones for her bathroom, they can can be done on any size canvas to fit any space. I have since cut out many ideas of how to decorate with maps. Pottery Barn Kids did a room entirely covered in old maps, overlapping as wallpaper. Here are a few more of my favorite map ideas! 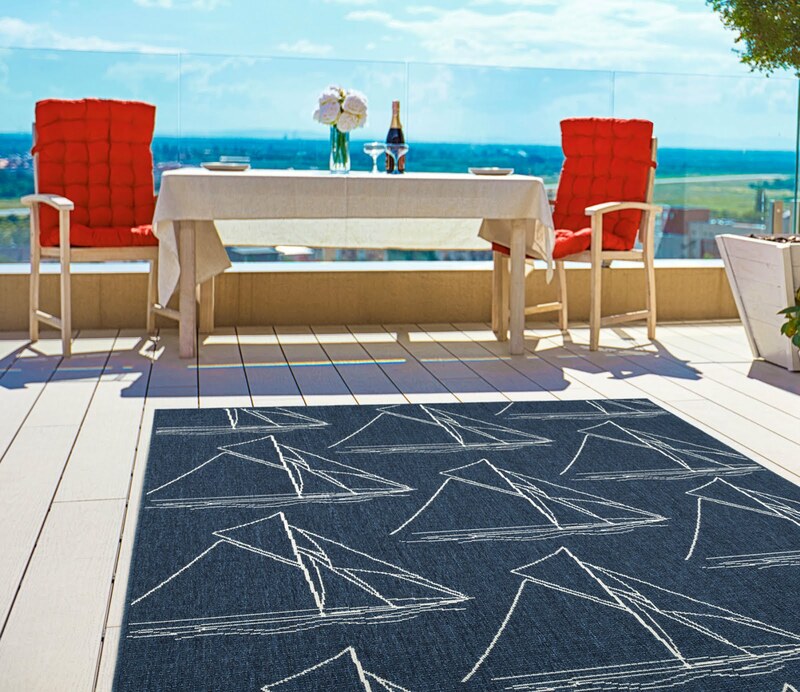 Nautical is back in a big way, and incorporating maps has never been easier. 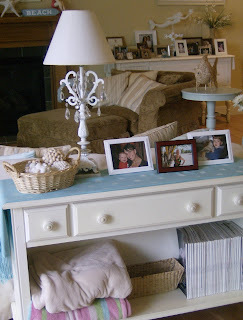 So next time you're at an antique store, grab a vintage map and get creative! Thanks so much Shayne! 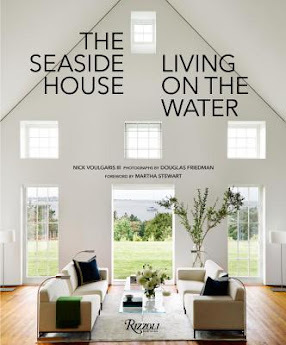 Love your creative ideas, and so easy to adapt a really neat piece of art to reflect your own coastal area. Make sure to visit Shayne's new blog - Sugarfly, where Shayne gives you a little glimpse into her wonderful family life beside Miller bay in Washington State. 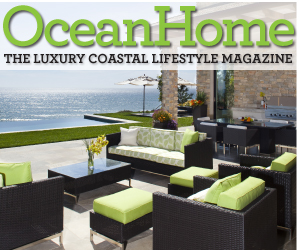 Writing about her house last spring was one of my favorite posts - "Fabulous Family Home on Miller Bay" , make sure to check out her cute "cottage-like" beach house! What a great idea with the maps and also personalizing them to show the area that you live in. Love the decor of the rooms! Great article. Lovely inspiration. This is the look I am going for when we renovate our vintage travel trailer The Pearl. As cute as she is in shabby chic, we want to go nautical. 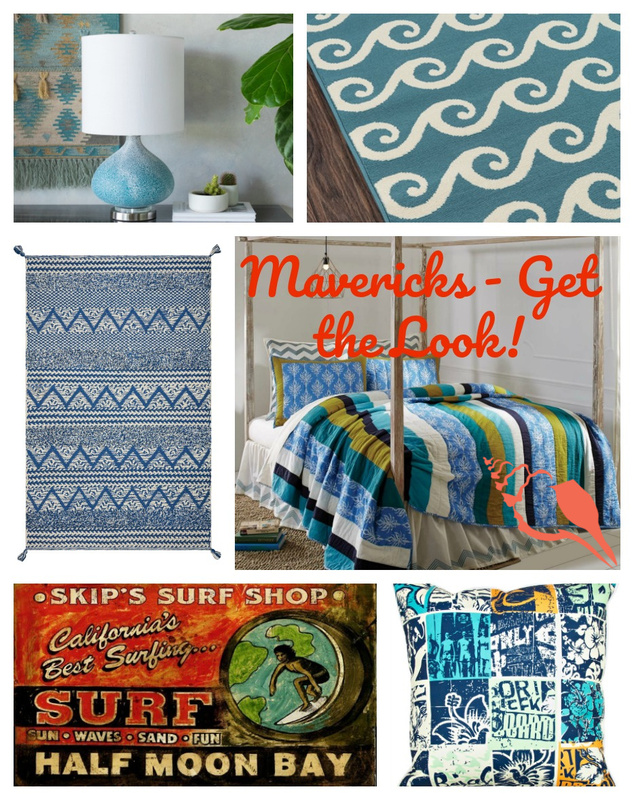 Nautical is a better decor for the men in my life! I will frame maps of the Bodega Bay area. Your first photo is going in my files! Every coastal home should have a framed chart map on the wall. I never thought it would be so simple to make one . Great ideas. I love old maps! I have one of Sanibel Island hanging in my office and a huge one of Kentucky Lake hanging in our lake house. I do the same thing too - stand and stare at them. Great post! 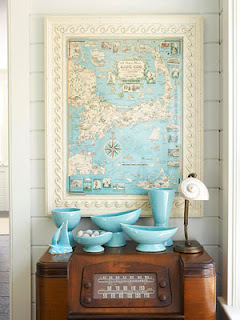 We LOVE nautical charts in our cottage and I'm so inspired by today's post. Your friend is very talented. wow! 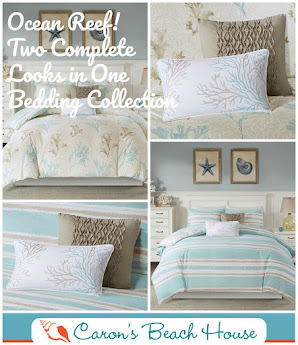 Love the striped bed covers!